So, I’m sorry it’s been such a long time since my last post, but my computer decided it didn’t want to work with the wireless at my house, and then the wireless stopped working all together… Anyway, this post is brought to you courtesy of my brother’s computer. 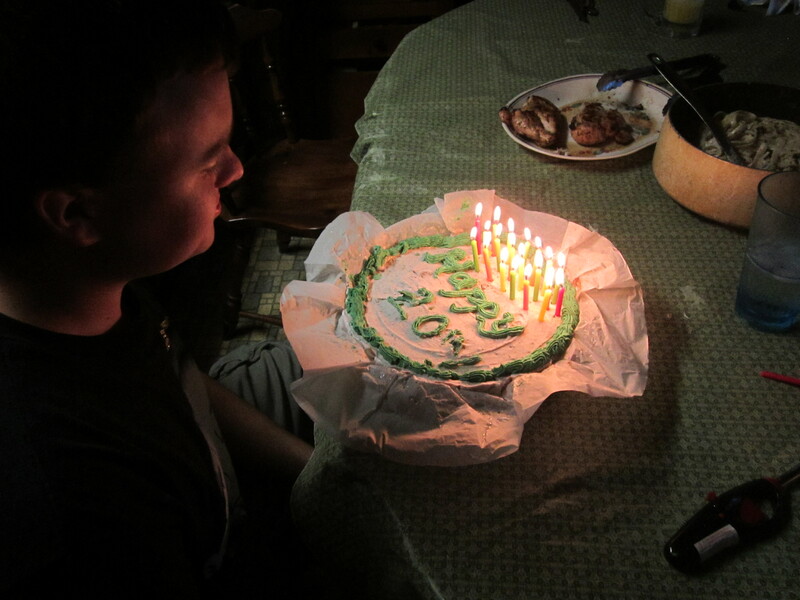 Speaking of my brother, Jared, he turned 20 on Friday! I’ll spare you all the details of the sentimental stuff about how I remember the day he was born, I cried because I wanted a sister, blah blah blah. 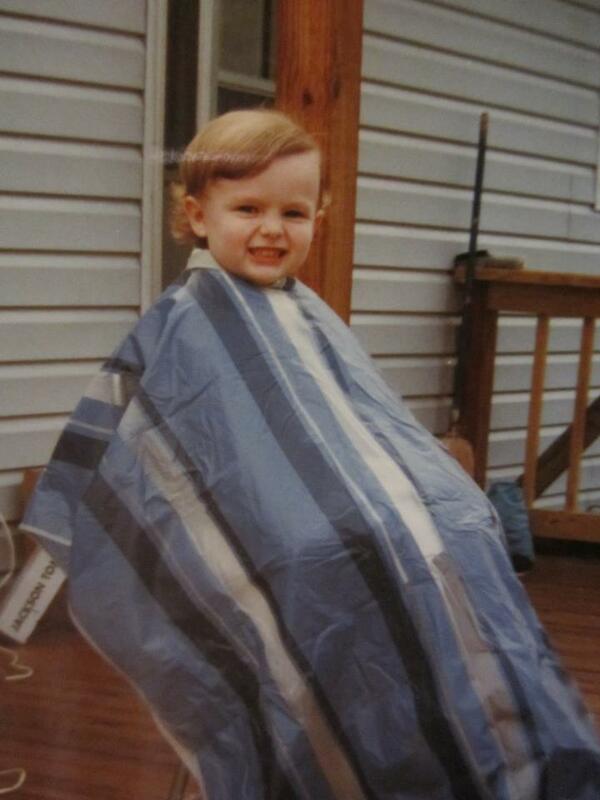 But, wasn’t he adorable? 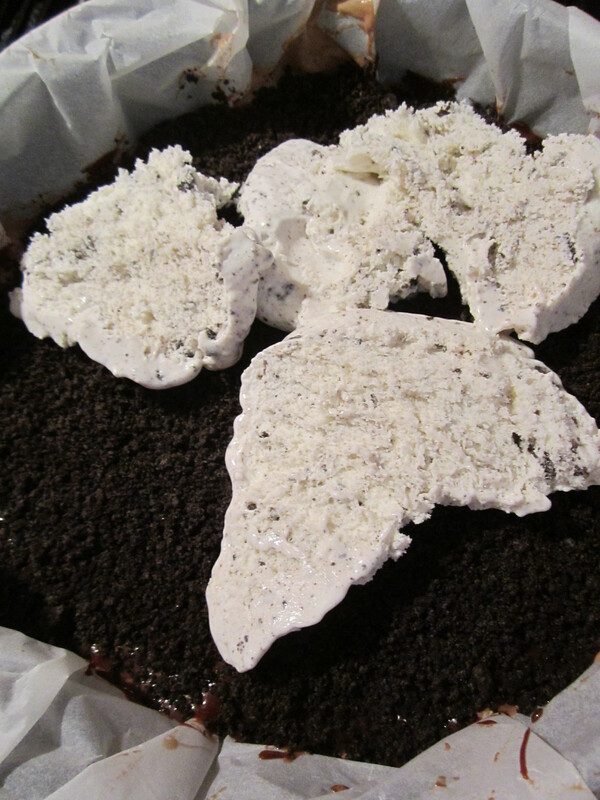 Anyway, Jared has been obsessed with all things cookies and cream since, well, forever, so I decided to make him a cookies and cream ice cream cake. 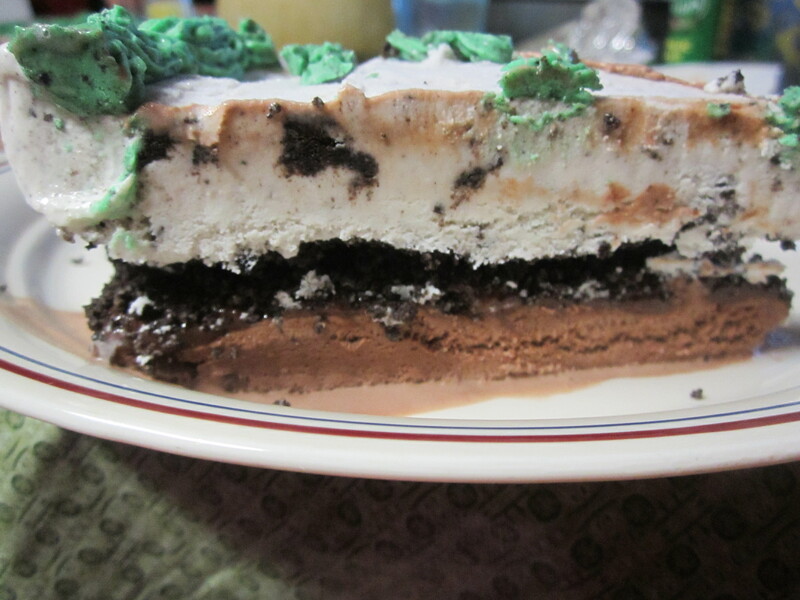 I love ice cream cakes and they are soooo simple to make at home, you only need 4 igredients: 2 different ice cream flavors (I suggest plain chocolate – or vanilla if you want to be really boring and bland – and then a fun flavor, but you could do any combination you want), hot fudge, and oreo cookies. 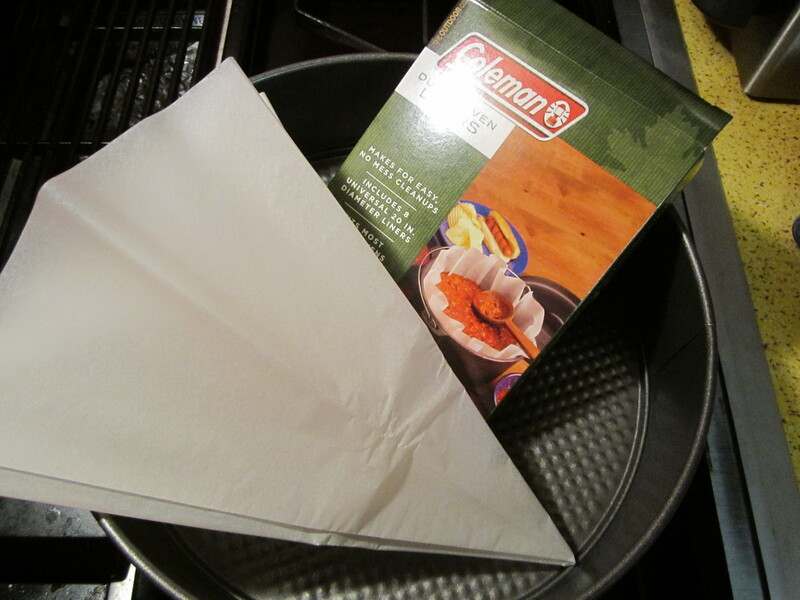 You’ll also need a spring-form pan, and I highly suggest you invest in some dutch-oven liners (basically parchment paper circles that are perfect for lining your pan, you could also use regular parchment paper, but these are super simple) because I’ve made the cake without lining the pan, and it was a minor disaster. 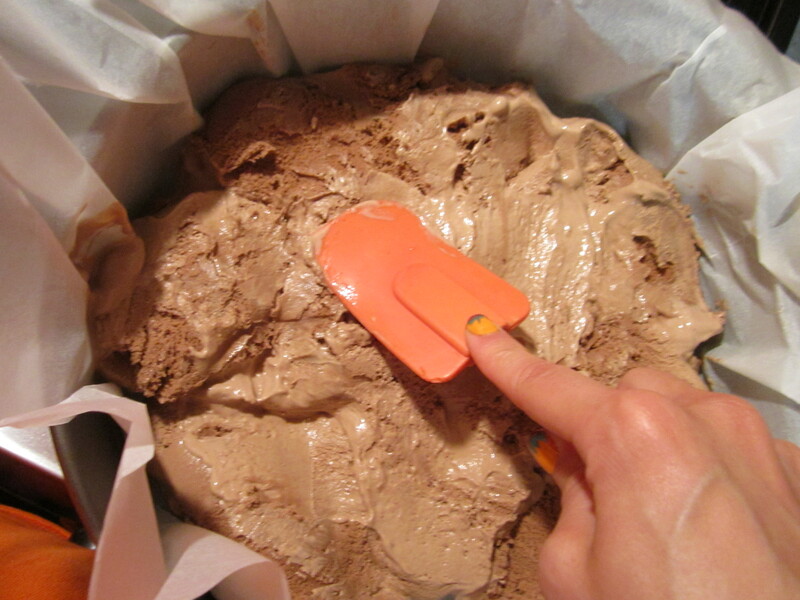 Next you’ll want to scoop out some of your softened chocolate ice cream and spread it around with a spatula. 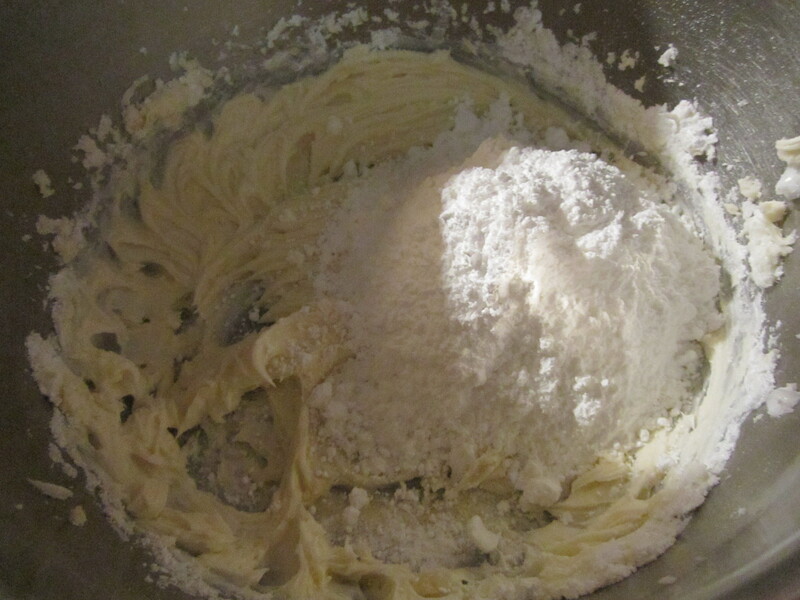 The amount of ice cream you’ll need will vary based on your pan size, but you want to fill your pan slightly less than half full. 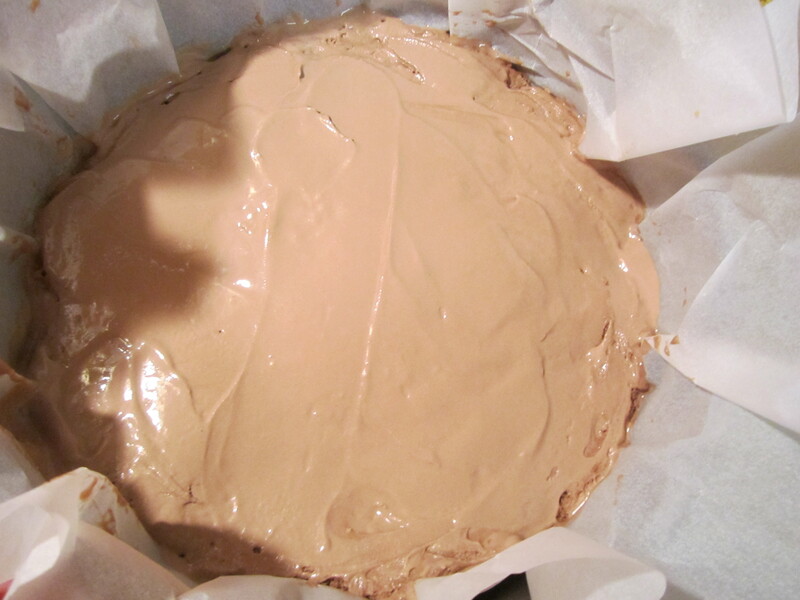 After you have it smoothed out put in the freezer for a few hours so it can re-harden. 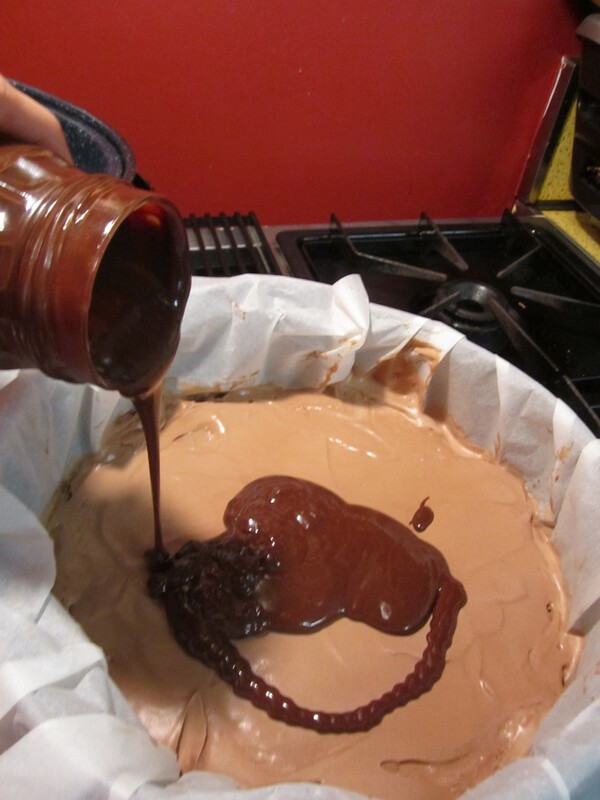 After your base layer is nice and firm you’ll want to heat up a jar of hot fudge until it’s slightly runny, but not too hot. 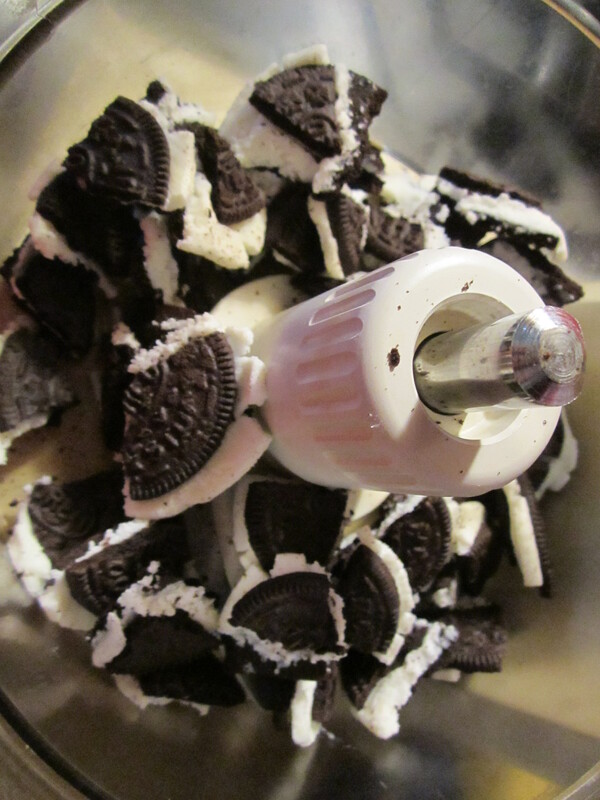 While you’re at it crush up some oreos in the food processor. 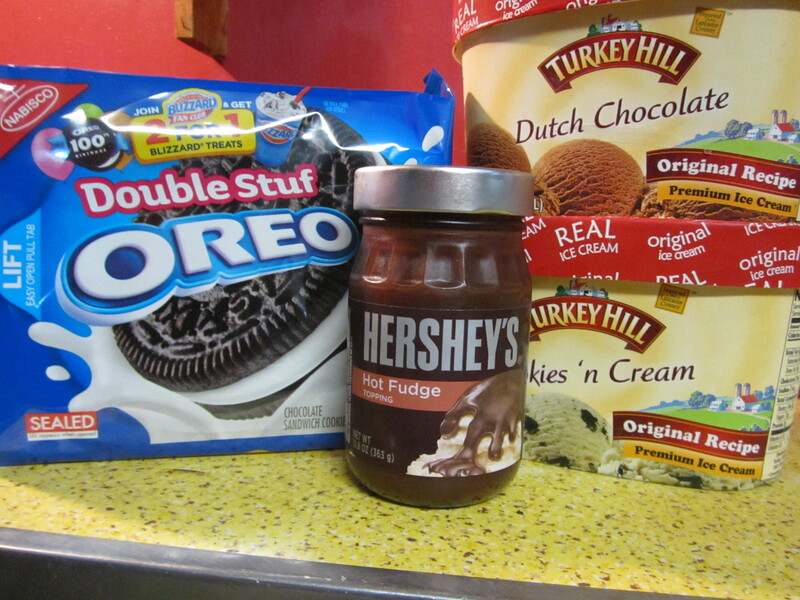 Layer some hot fudge and spread it out with a spatula, and then sprinkle the oreo crumbs on top. 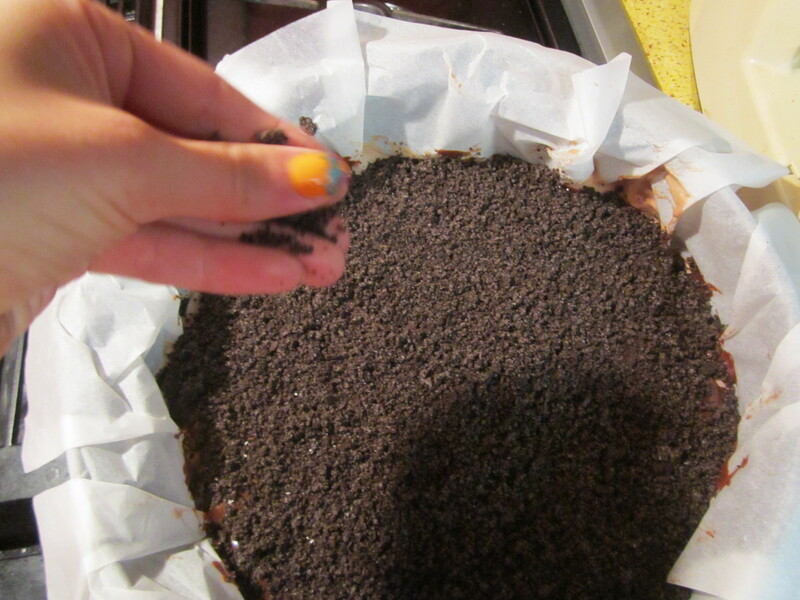 When you have a nice even layer put the pan back in the freezer for a few more hours. 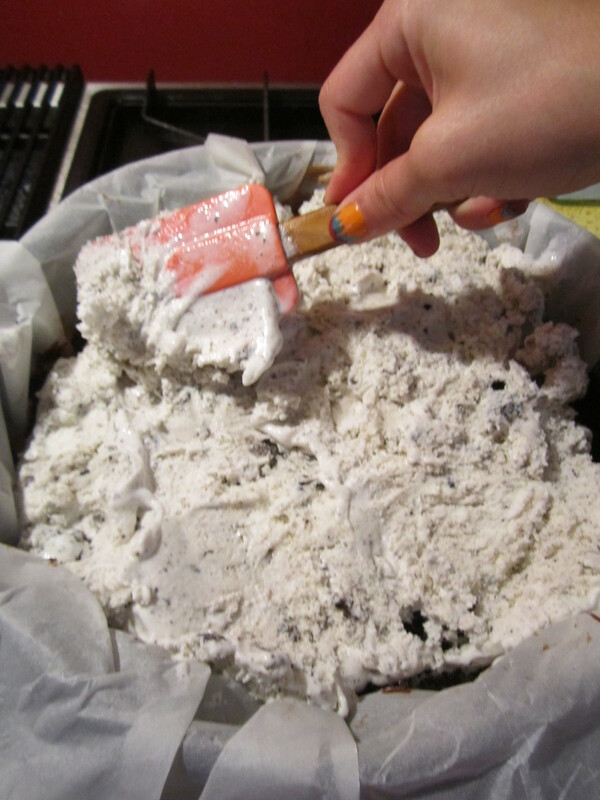 For you next stop you’ll want to soften your second ice cream layer, scoop small bits onto the cookie layer, spreading it out with a spatula as you go, and adding more until your pan is full. 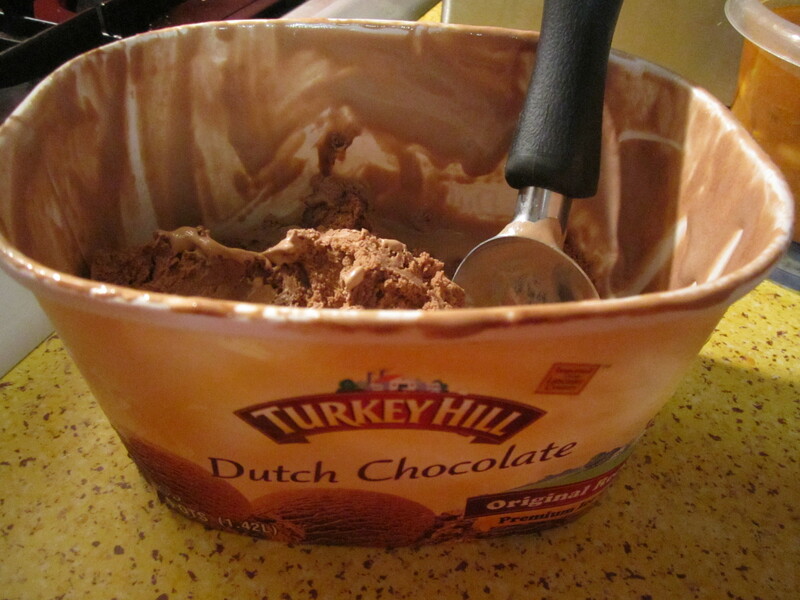 When you’ve smoothed the ice cream out, put your pan back in the freezer. 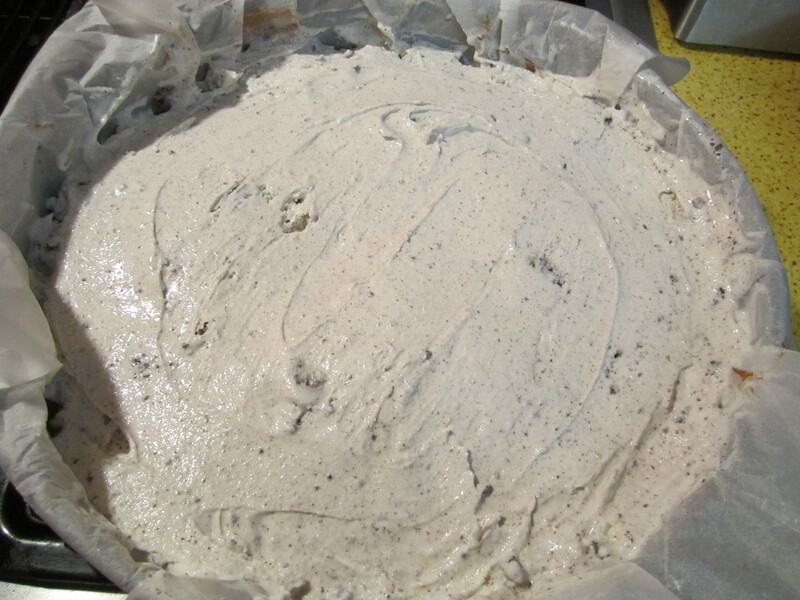 Now, you could stop here and have a perfectly delicious ice cream cake, but I decided to take it a step further and add some delicious cookies and cream icing, which I saw on Gingerbread Bagels awhile ago. 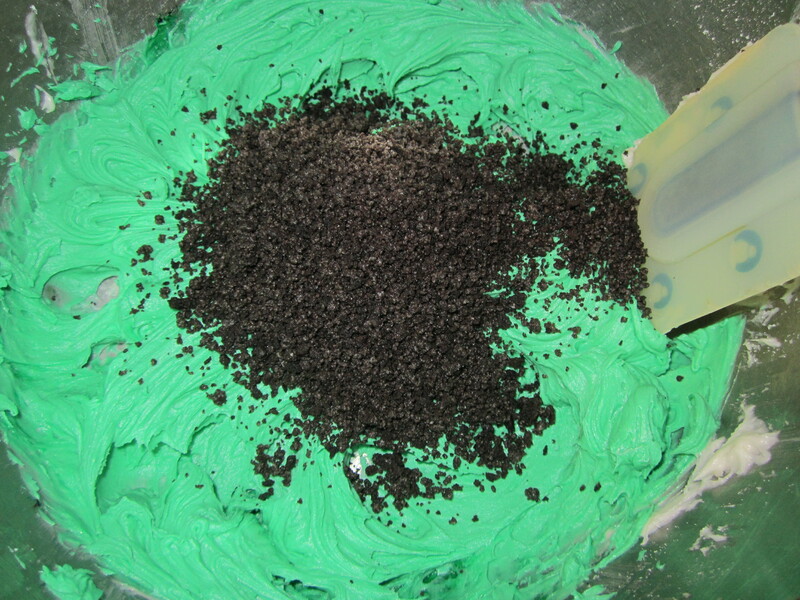 This is a pretty simple recipe, you’ll need shortening, butter, powdered sugar, oreos, vanilla, salt, and food coloring (if you so desire). 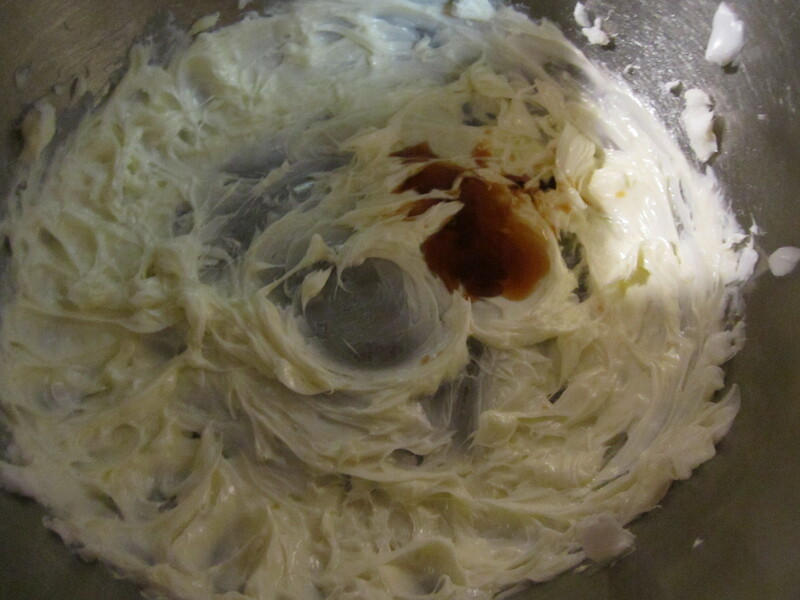 First cream together the butter and shortening. 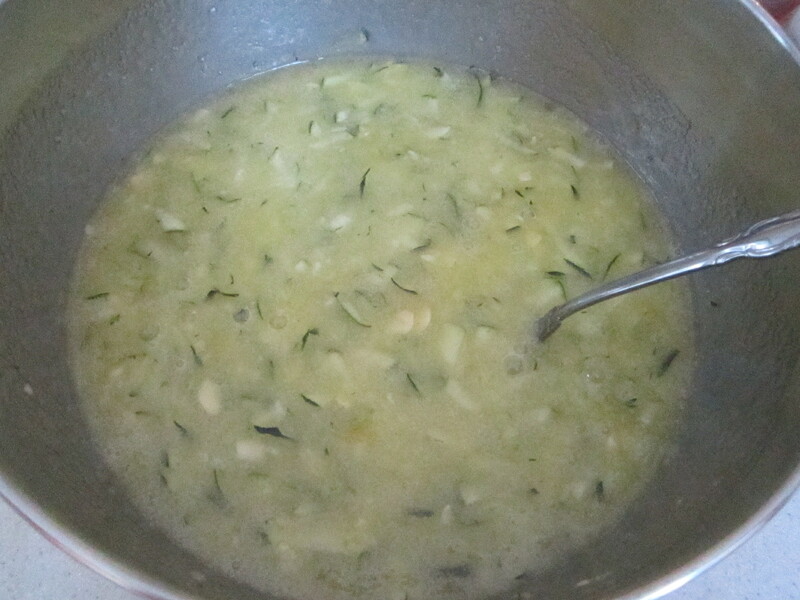 Add the vanilla and salt. 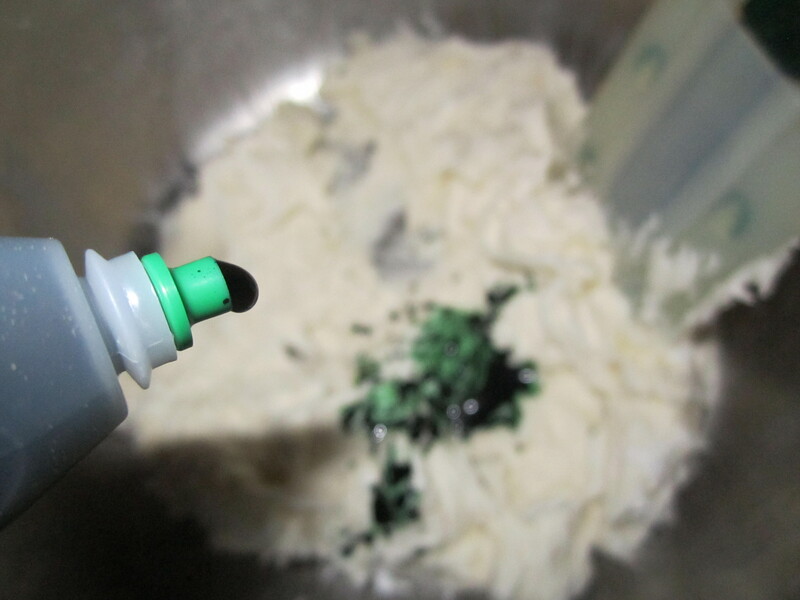 Then add food coloring until you’ve got the color you want. 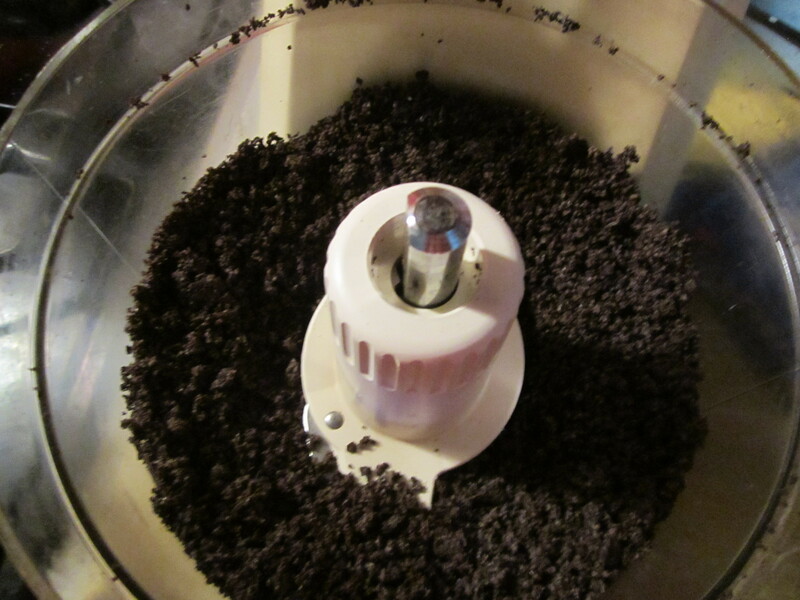 Finally, crush up some more oreos in the food processor and toss them into the icing. 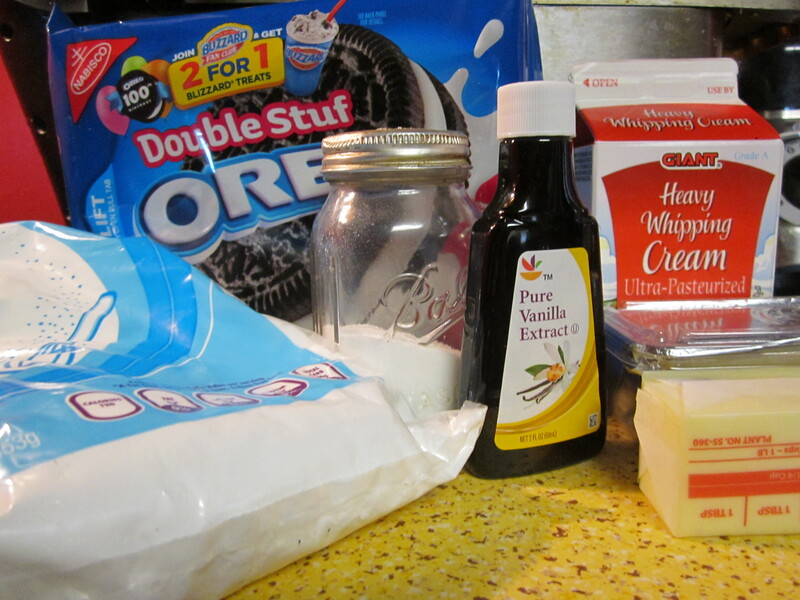 Mix them in with a spatula. Now. This is the finished product. 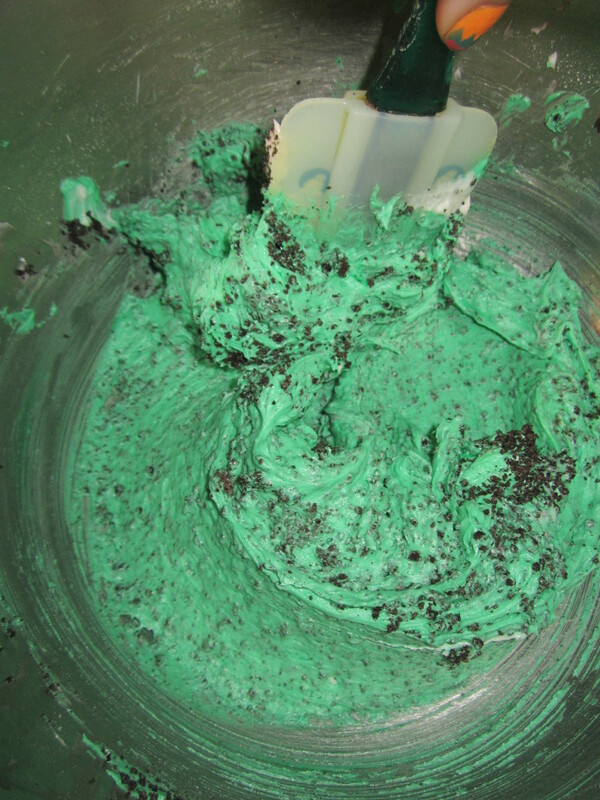 Please don’t judge my piping (I know it looks like it was done by a 5 year old) as the cookie crumbs clogged the tip I was using multiple times. 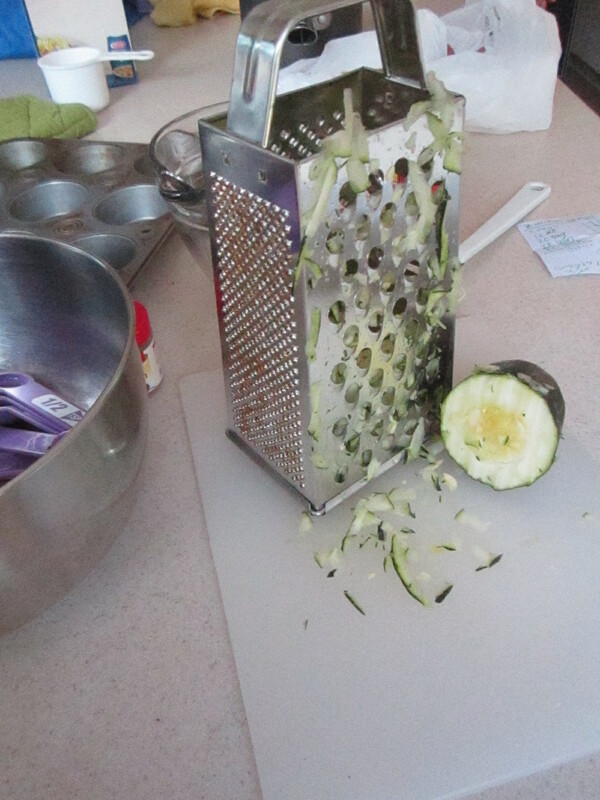 I highly suggest you use a very large tip, or use a disposable plastic bag so you can make the hole bigger if need be (I had to keep removing the tips and putting in bigger ones with my pastry bag, and my hand looked like Shrek by the time I was done). 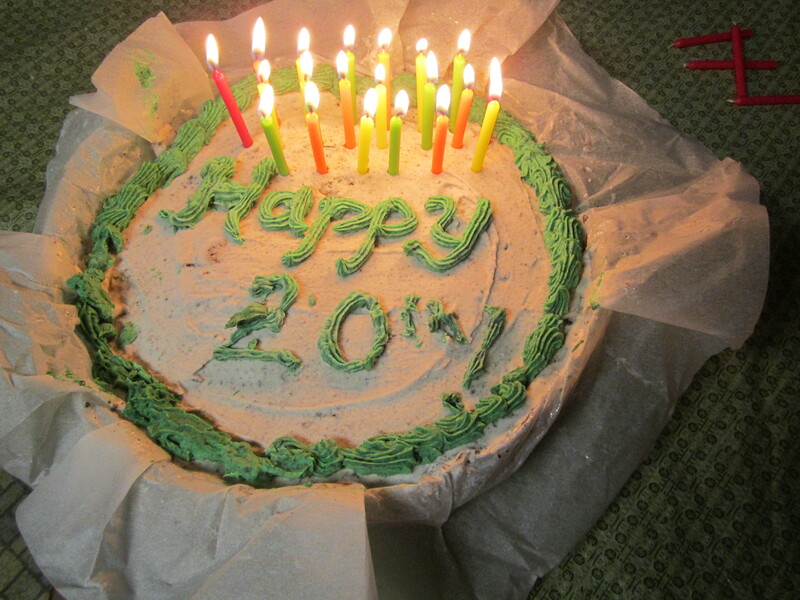 But, it tasted delicious, and my brother was pleased with his birthday cake! Happy birthday again Baby Brother (I don’t care if you are 20, I’ll always call you baby brother, mostly just to annoy you)! 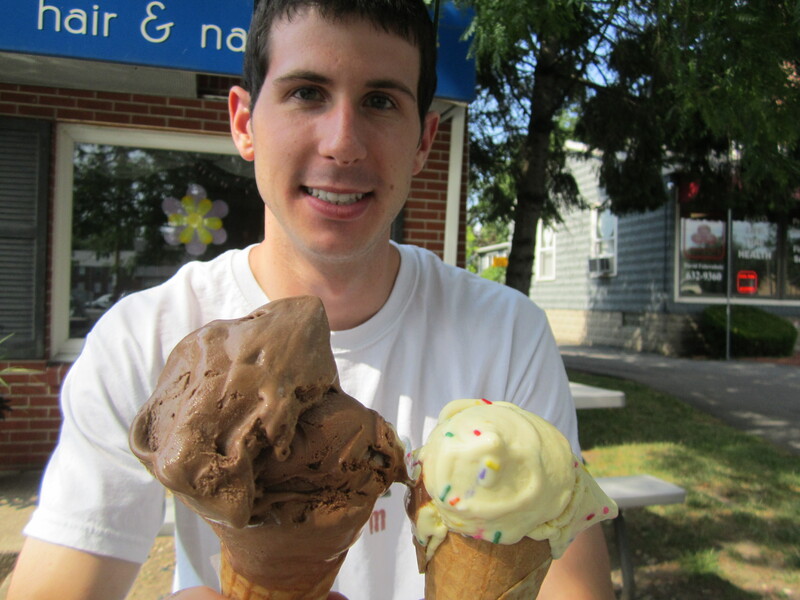 I spent the past week with my boyfriend, Kevin, in his hometown of Buffalo so I don’t have any new recipes for you. However, I do have some fantastic restaurants to tell you about! While Buffalo is well known as the land of endless winter snow and sub-par professional sports teams (sorry Bills and Sabres fans…) they also have some really delicious food. 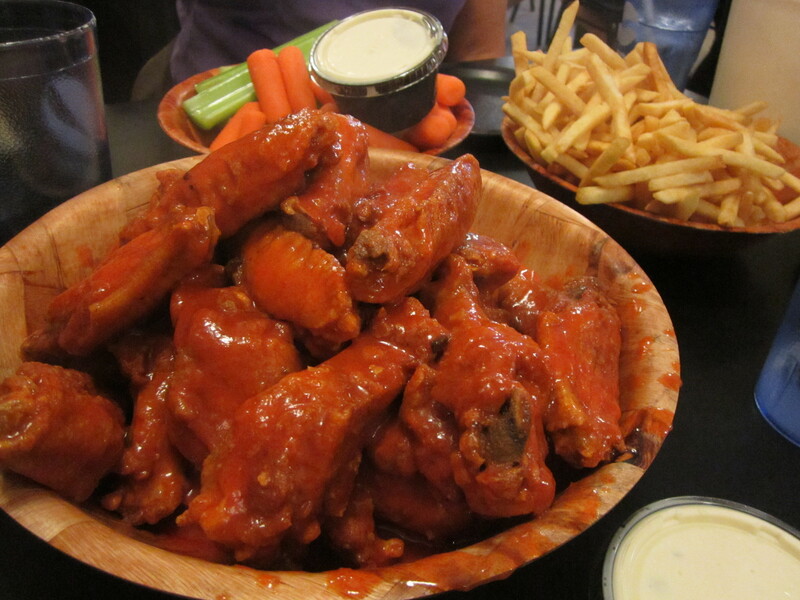 First, there are Buffalo chicken wings. I’ve been told by several Buffalonians that it is impossible to find good wings outside of Buffalo, and while I don’t agree, I must admit that Duff’s are some of the best wings I’ve ever had. 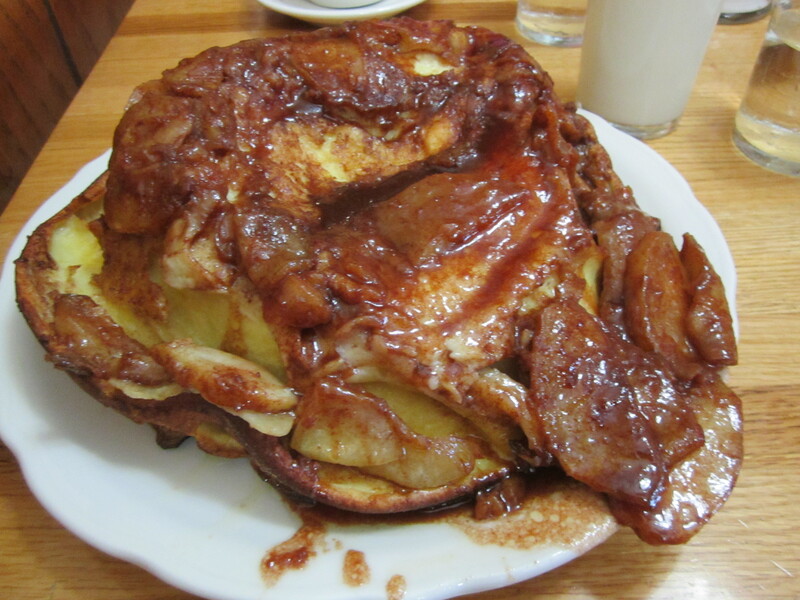 Now, you may be familiar with the famous Duff’s vs. Anchor Bar feud. I’ve never had wings from Anchor Bar because Kevin is an adamant Duff’s supporter, but they would have to be pretty phenomenal to beat Duff’s. 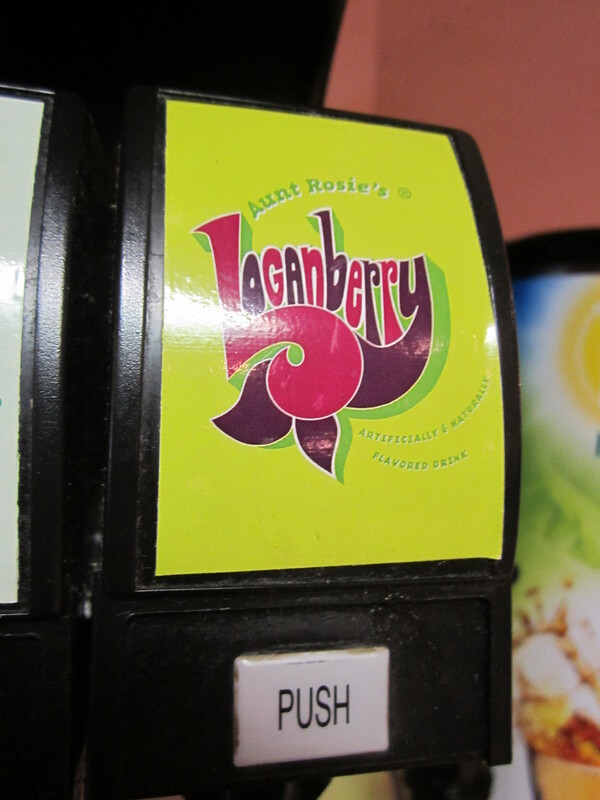 On a side note, Buffalo has this drink they serve in pretty much every restaurant called Loganberry. 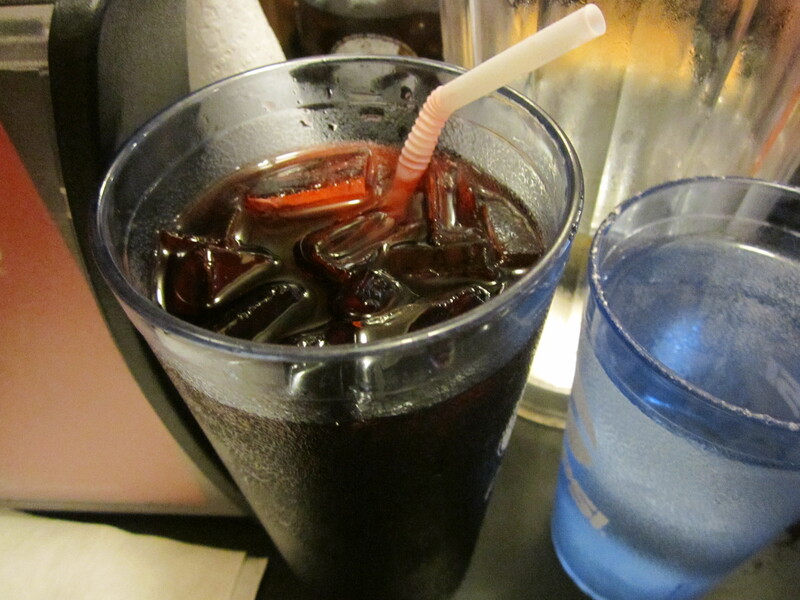 It’s a juice beverage that I had never heard of prior to my first visit, but after my first sip I fell in love. 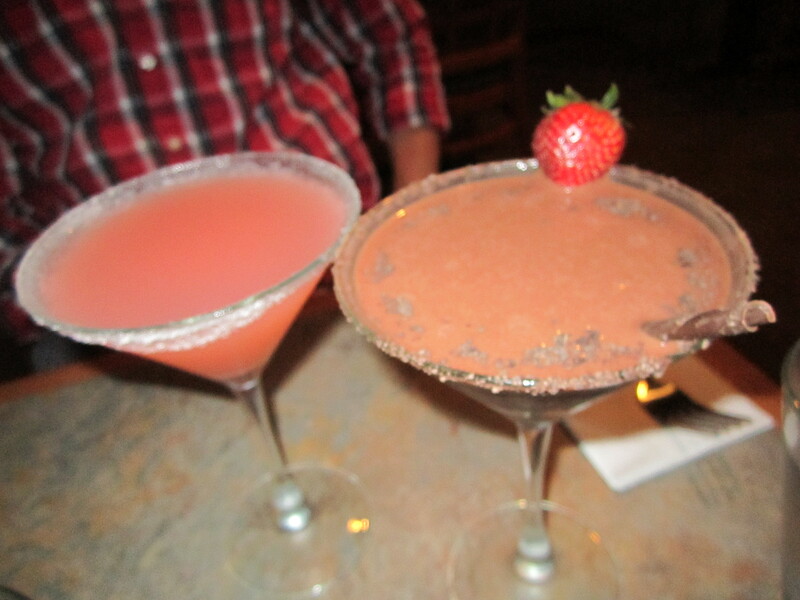 It’s pretty, and sweet, and delicious. You should all try some. Immediately. In the same vein as the chicken wing is the chicken finger sub. 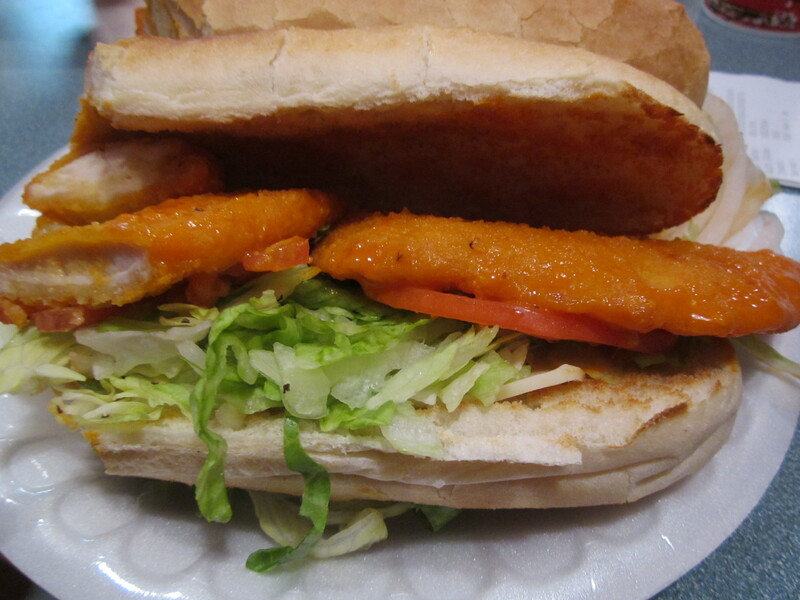 This is exactly as it sounds, chicken fingers, placed on a sub roll. 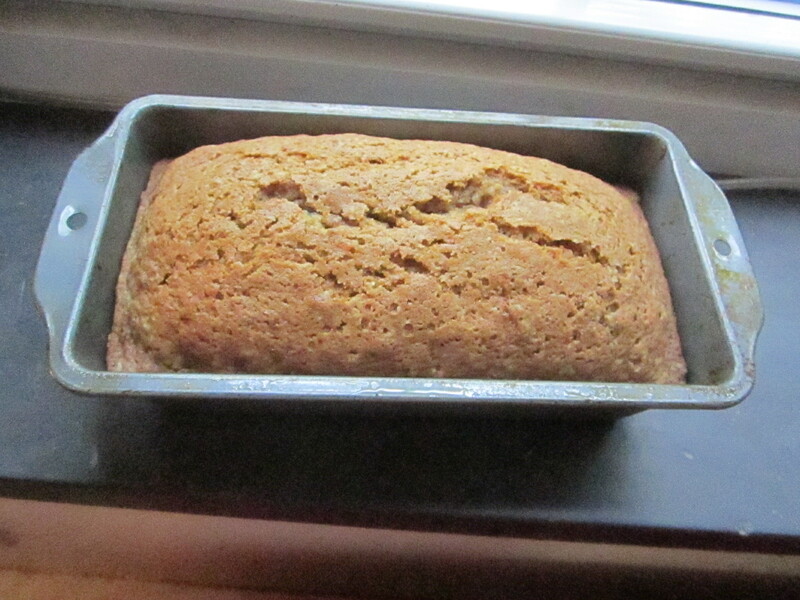 It’s surprisingly delicious for something so simple. We got ours from Jim’s Steak Out (which is a chain in Buffalo), but they’re available all over the city. 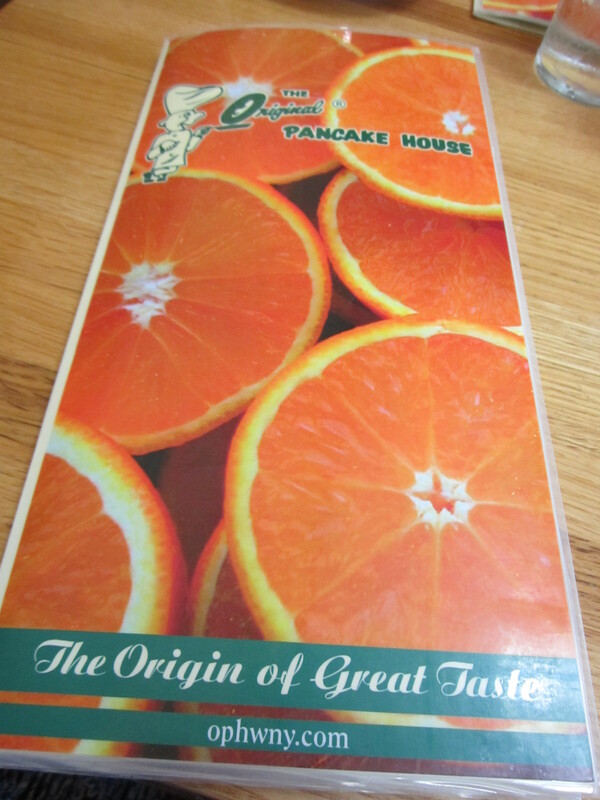 For breakfast one morning Kevin’s mom took us to the Original Pancake House, which isn’t a Buffalo original, but is still good (and serves ridiculously large portions). 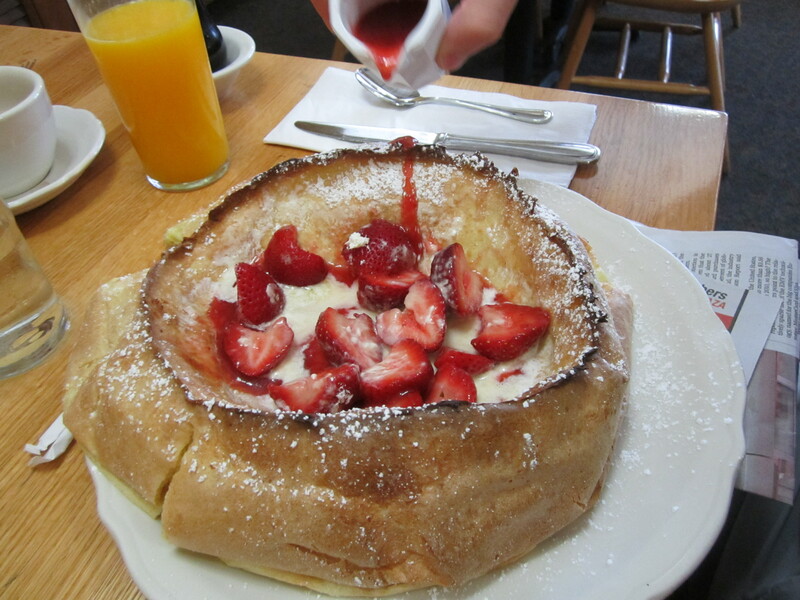 I got the apple pancake, which is a huge pancake covered in baked cinnamon apples, and Kevin got the Dutch baby, which they fill with butter, powdered sugar, lemon juice, fresh strawberries, and strawberry compote. 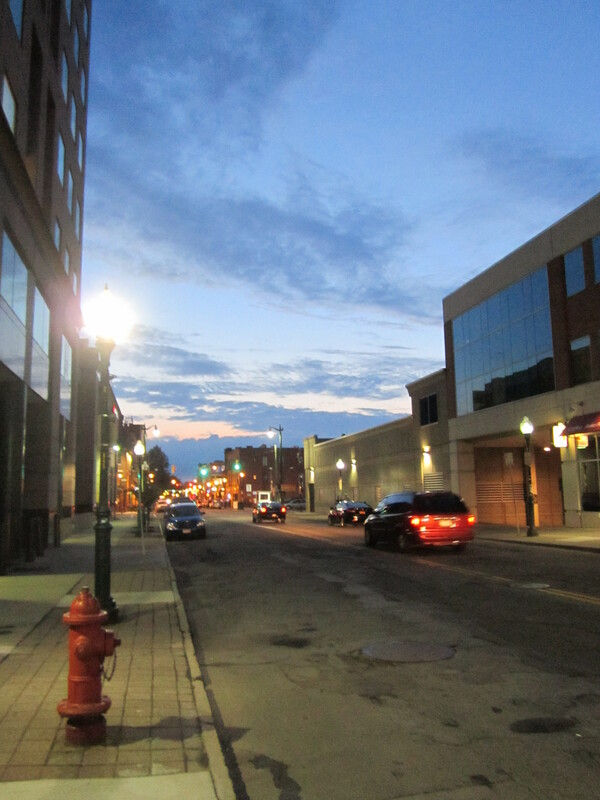 In contrast to their freezing winters, Buffalo’s summers are very hot. 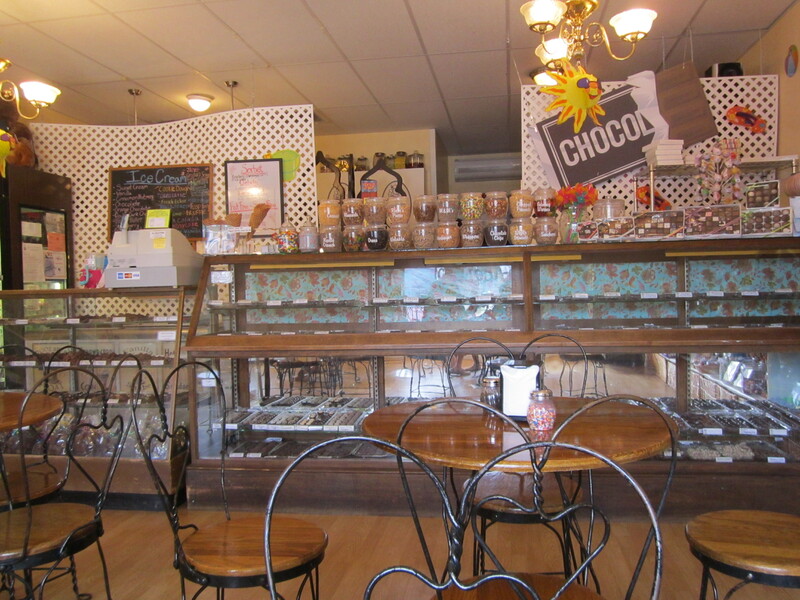 To beat the heat we decided to some ice cream at Sweet Jenny’s. 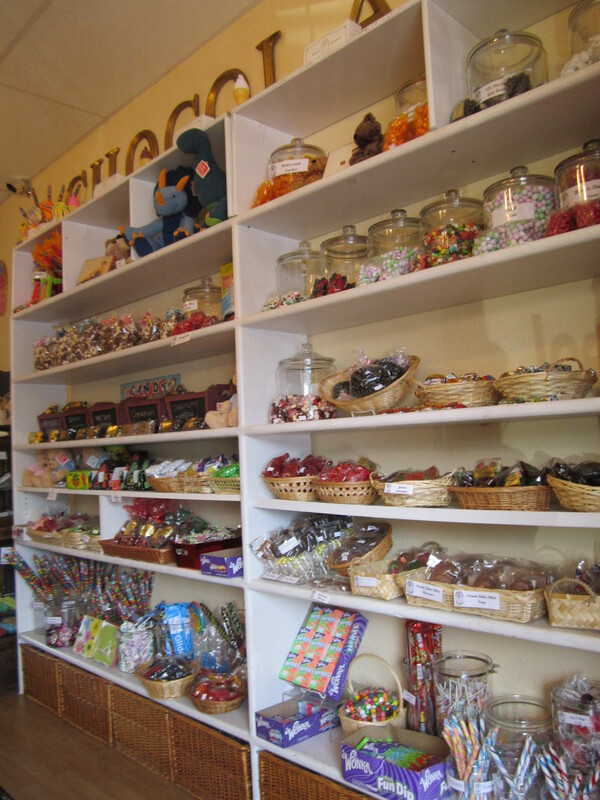 They had some really interesting flavors, and it was a really cute place! We opted for birthday cake and chocolate orange. 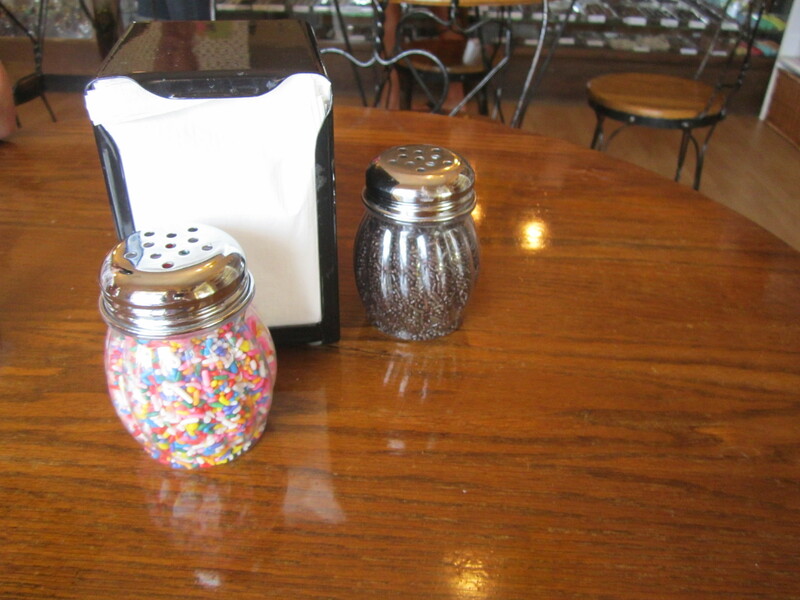 They even had sprinkle shakers on the tables! 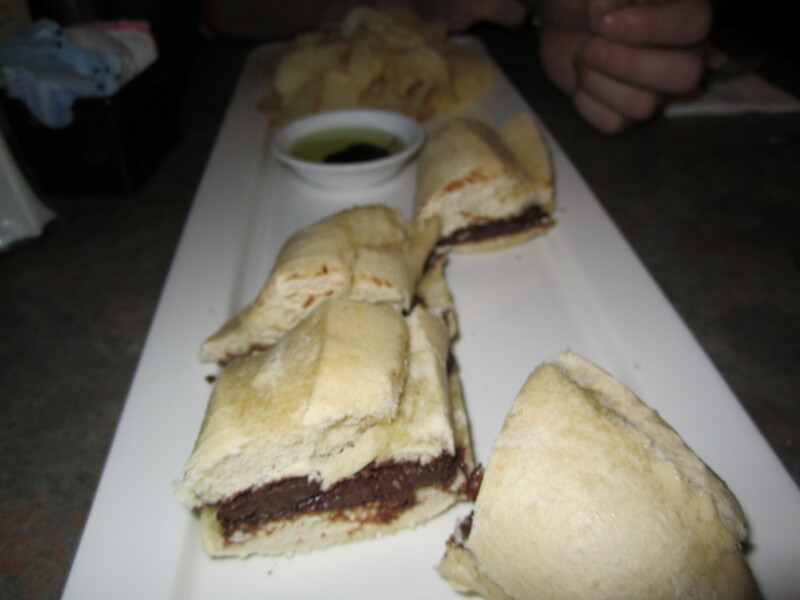 For our appetizer we got the chocolate bar baguette, which was a baguette sandwich with delicious melted chocolate and an olive oil/chocolate dipping sauce. 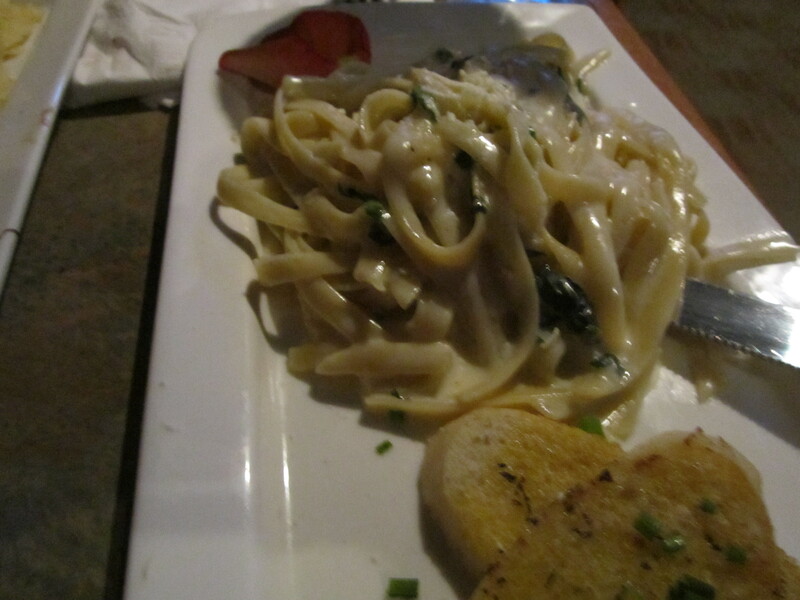 We split the chocolate bar pasta entree, which was fresh pasta tossed with a white chocolate cream sauce, white pepper, and other seasoning. It was served with an amazing roasted corn and red pepper relish. 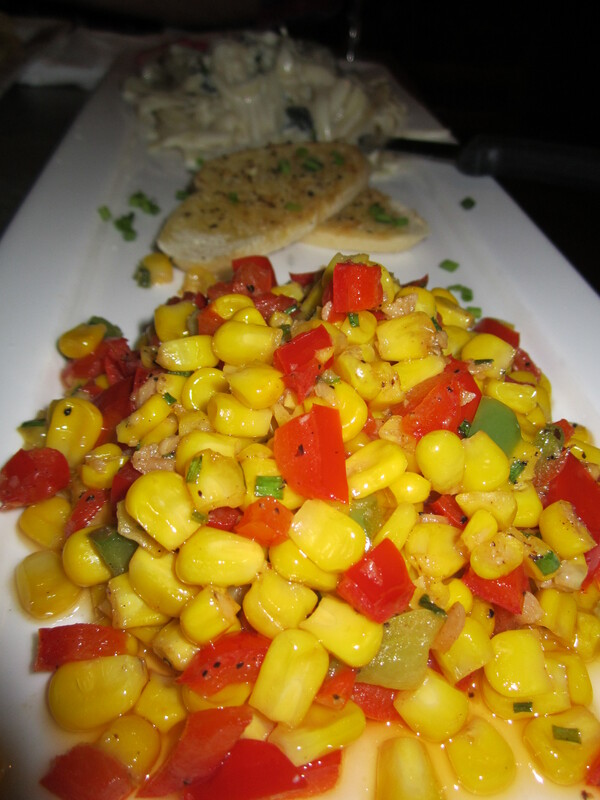 While the pasta was a little bland, it was delicious mixed with the corn and peppers. 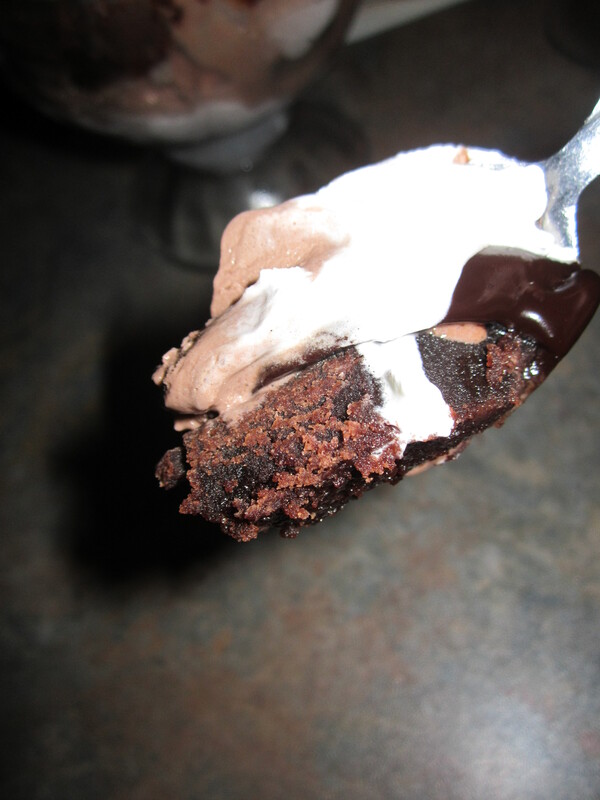 The crown jewel of the meal was, of course, dessert. 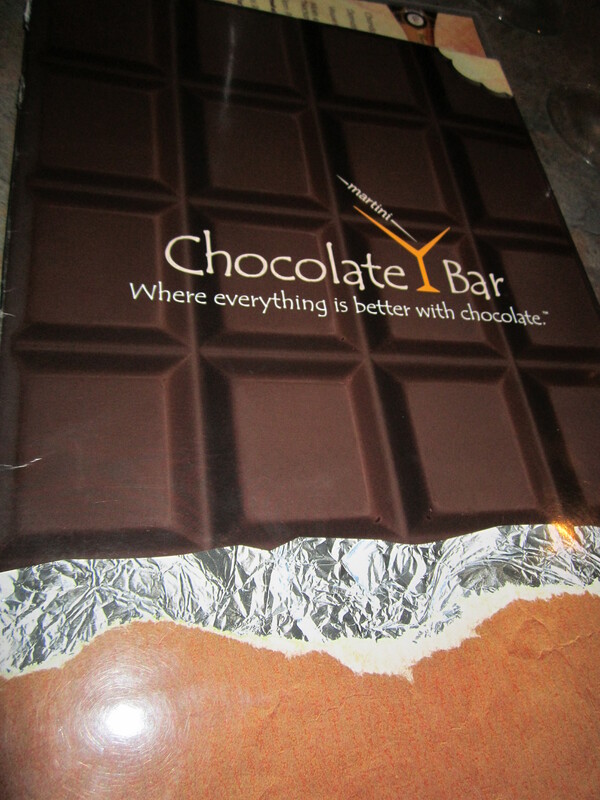 We ordered the chocolate explosion. 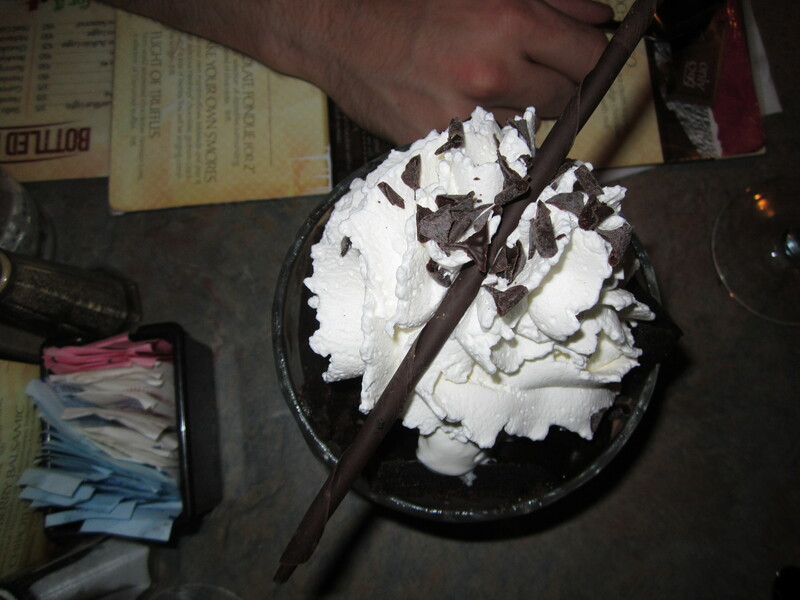 This monstrosity of a dessert consisted of brownies, dark chocolate ice cream, house hot fudge, whipped cream, and chocolate shavings. 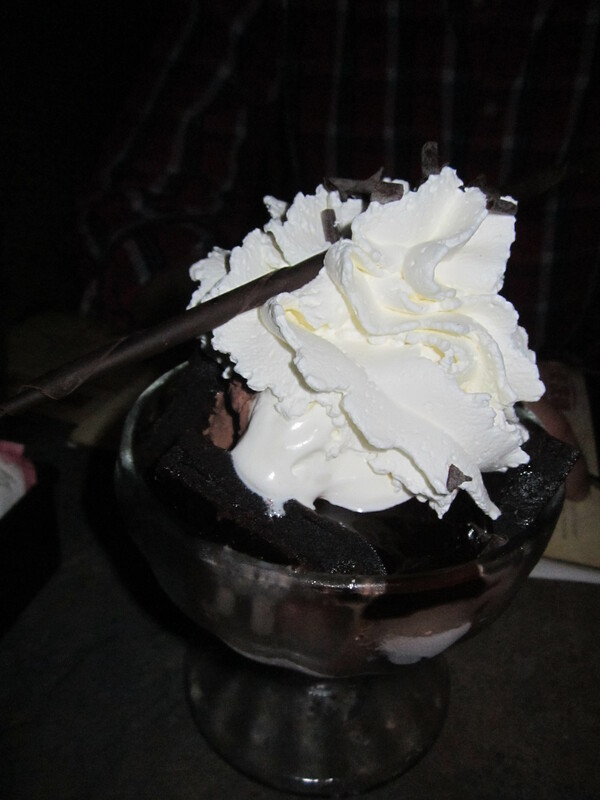 It was absolutely AMAZING and the hot fudge was the best I’ve ever had! 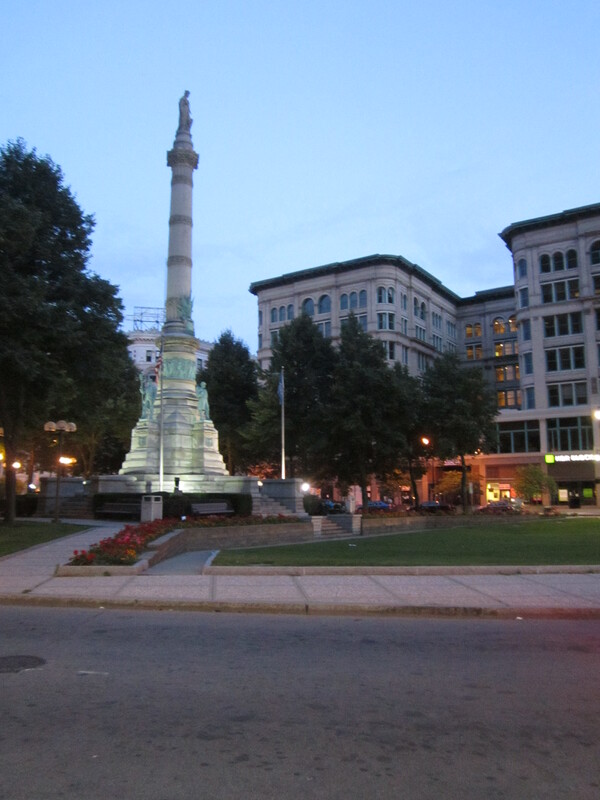 Anyway, if you’re going to be in Buffalo anytime soon, I highly recommend you check out these restaurants (and Ted’s Hot Dogs, and Mighty Taco, and Tim Horton’s, and Just Pizza… the list is never ending). 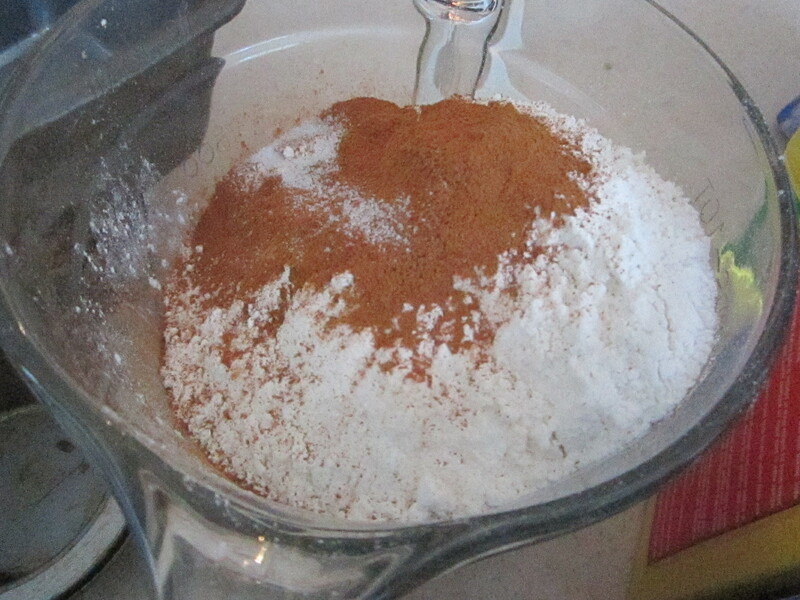 I’ve been procrastinating my first post for quite some time because I had no idea what I wanted my first recipe to be. However, I finally decided I needed to just get at it and post something because I’m so indecisive I would never actually decide what I should post first. 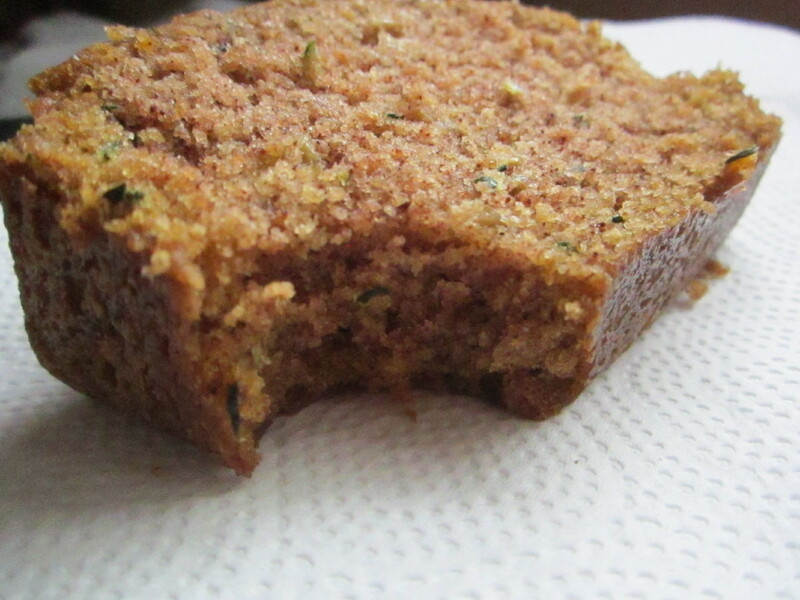 So here it is folks, a delicious recipe for zucchini bread that my family has used for as long as I can remember. 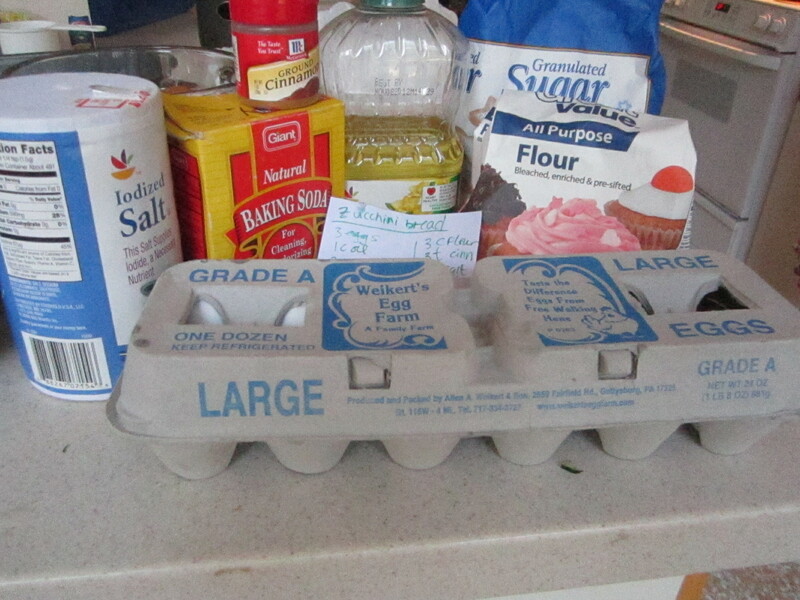 First, gather the ingredients: you’ll need zucchini, sugar, eggs, oil, vanilla (which isn’t pictured because I forgot all about it), flour (this time around I used regular all purpose flour, but I’ve also made this recipe using whole wheat flour before and it was just as delicious), baking soda, salt and cinnamon. 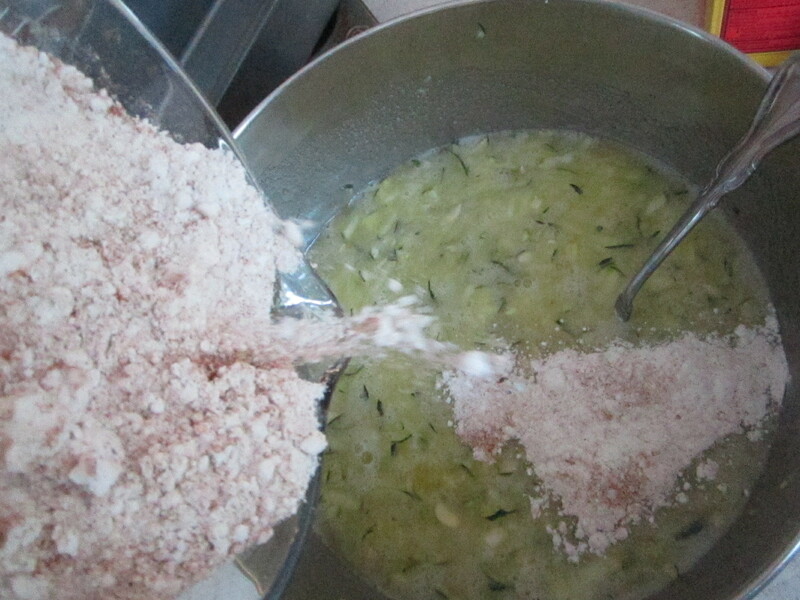 Then combine the wet ingredients and the sugar. 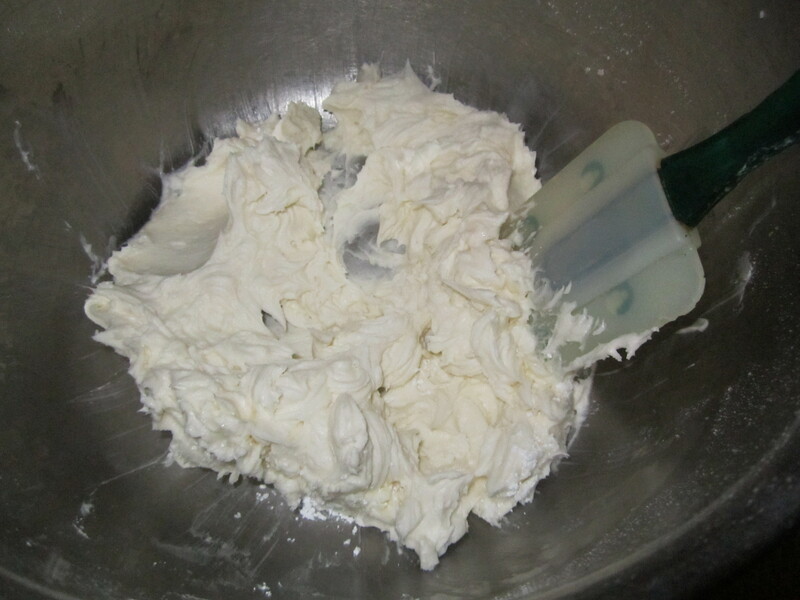 Slowly add the dry ingredients to the wet ingredients in batches, stirring after each addition. 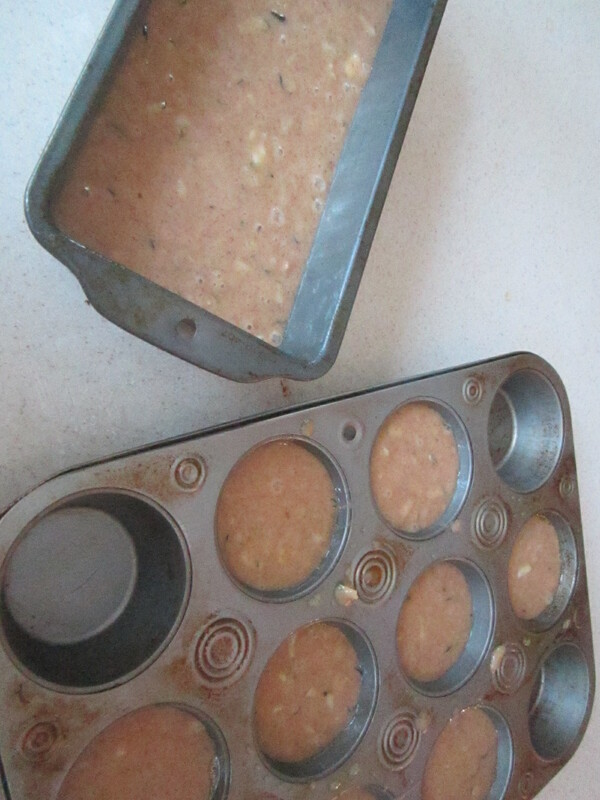 After everything is combined (the batter will be pretty thin, so don’t worry) pour the batter into some greased bread pans (normally this recipe makes 2 small loaf pans, however I wasn’t at home when I made it so I only had one loaf pan and a muffin tin, so it made 1 small loaf and 8 muffins). 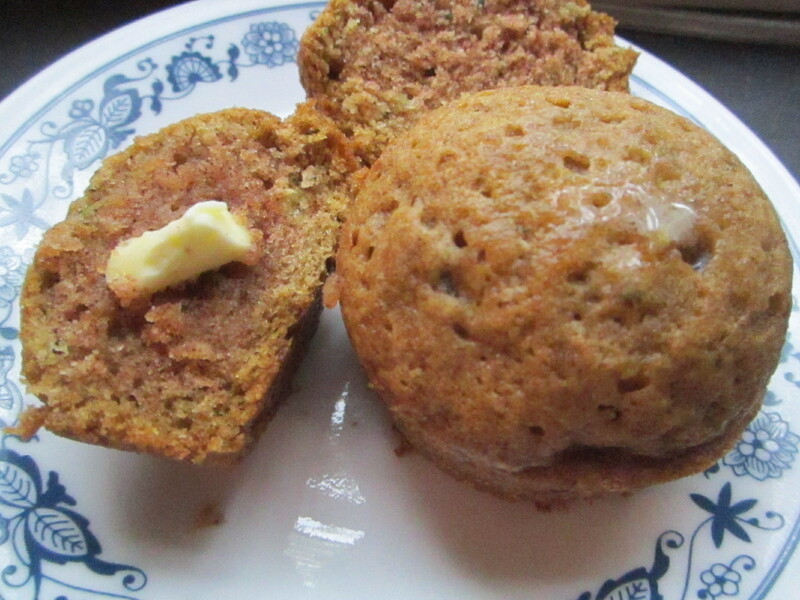 Put them in the oven, wait for a delicious cinnamon smell to fill the room, wait some more, then take out and enjoy! 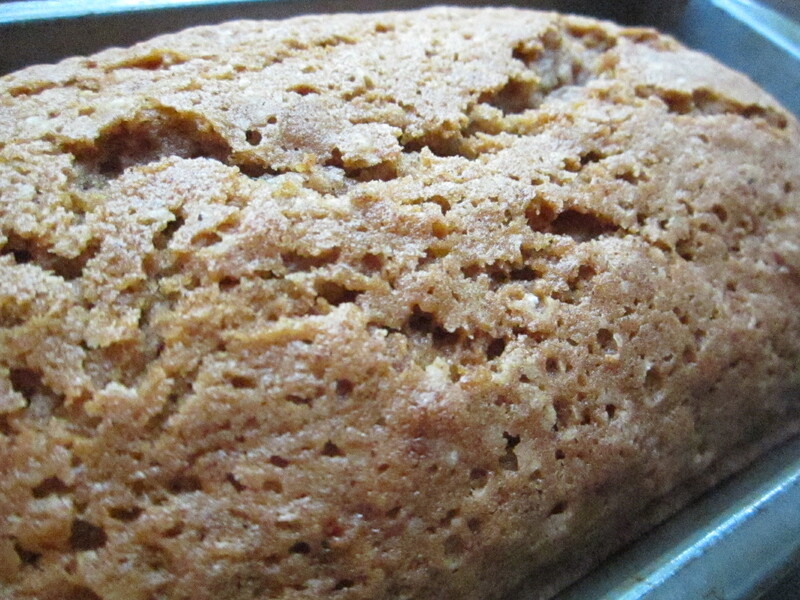 This bread is absolutely delicious by itself but feel free to slather on some butter or cream cheese as well.